This year I'm trying to focus on the old Sears houses in the Chicago area (pre-1914). The problem is that they are not easy to come by. The bay window in the front is gone, but it may not have been there originally. 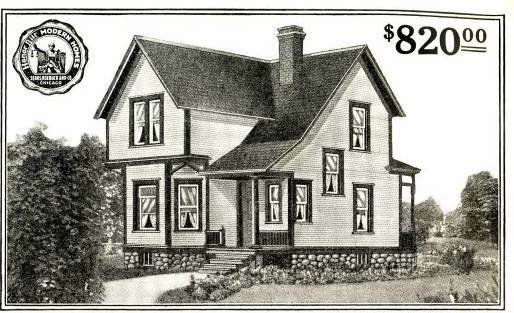 In the early days of the Modern Homes department, Sears sold the customer all the materials needed to build the house, but the lumber was not pre-cut. 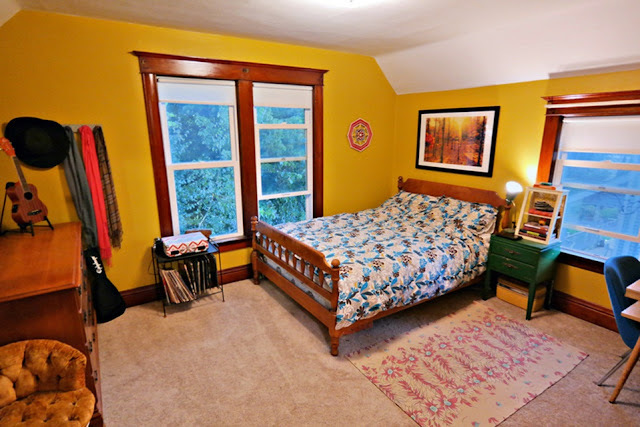 This meant that changes to the standard floor plan were easy to accommodate. 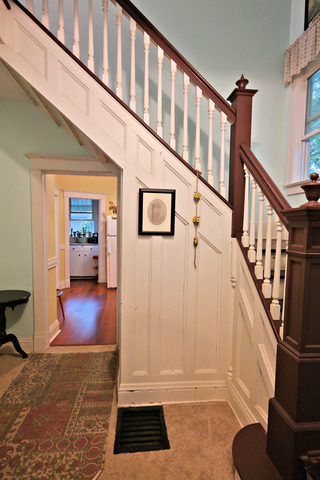 Nice woodwork around the staircase. In many of the early Sears models, this sort of detail was typical. Photo courtesy of Realtor site. 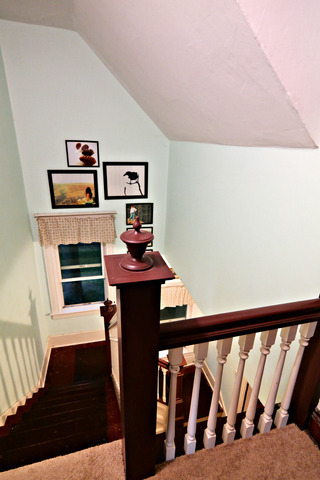 A Sears newel post--a perfect match to the one on the Avoca. The Avoca had an interesting layout in the kitchen. 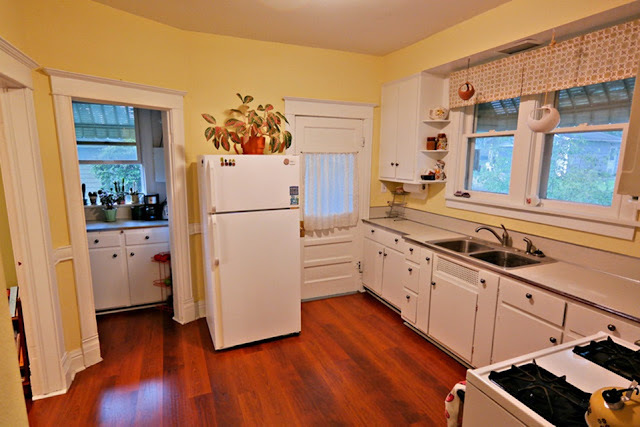 From right to left, a door to the porch, an angled door to the pantry, and a door to the dining room. 1-2-3. Photo courtesy of Realtor site. The window trim is original from Sears. Photo courtesy of Realtor site. The original owners were William and Sadie Robinson. He was a toolmaker for a typewriter factory, as were most men who lived in Woodstock. At one time Woodstock was called "Typewriter City" because its factories produced three brands of typewriters. Sears did not offer financing in 1910, and customers had to find a lender. The deed records show that the Robinsons secured a mortgage from G.E. Still, a local banker, in April 1910. The Robinsons sold the Avoca in June 1941 to Harold and Verna Schultz. The Schultz family owned it until 2011. Always interesting to see the insides of these homes and how well they match up to the catalog. Thanks for sharing Lara! I can't steal credit for the New Bern homes. I'll leave that to someone more desperate. Whoa, I just came across this by accident. This is my house! Well, I just sold it in January, but these were the photos from my listing and the things you see are my things. The house DID used to have the bay window in the front. 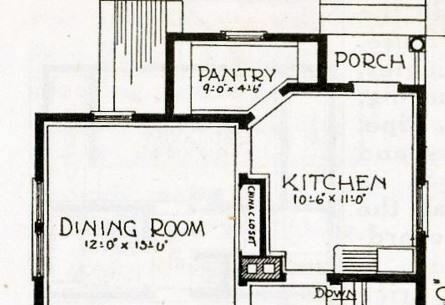 Many decades ago, the owners wanted more space in the living room and ended up knocking out/pushing out the corners and making the room square. I am still friends with the man who grew up in the house and sold it to me, and it has been great learning all about his time there. Thanks for posting, Amy. If you can get any old photos from your friend, I would love to post them here! I grew up in Woodstock. This is across the street from where my little sister's best friend lived at when we were kids.